Best new films 2019: trailers and release dates | What Hi-Fi? Whether you want to plan your future cinema trips or are blocking out evenings for epic TV show binges, we’ve rounded up a bunch of trailers for the films (and some TV shows) we think are worth looking out for this year – with an emphasis on system-shaking blockbusters. 2019 is the year of some seismic Marvel action: we have Captain Marvel heading to our screens right before Avengers: Endgame – the epic conclusion to the events of Infinity War and the current MCU era as we know it. Other 2019 highlights are the final season of Game of Thrones, Jordan Peele's Us, some fantastic book-to-screen adaptations (Good Omens, Artemis Fowl, Deadly Class) and, of course, Farmageddon. We'll be updating this page as new trailers are released, so be sure to keep coming back for all the latest teasers. Marvel golden boys the Russo Brothers (The Winter Soldier, Civil War, Infinity War) turn their Midas touch to this adaptation of Rick Remender's comic book series. Set in the late 1980s, it follows the lonely orphan Marcus Lopez Arguello as he finds himself enrolled in a secret assassin school in San Francisco, where the kids of crime families from around the world are sent to learn the family trade. But this is more Kill Bill than Hogwarts. There's a strong sense of anarchy and socio-political commentary running through the comics amidst the normal high-school tropes of bullies, romance, fitting in and murder. After an interesting start, Discovery appeared to fade a little, ending up being a solid (if not essential) Star Trek series. The second series picks up the threads from the first, with Spock making an appearance and Captain Christopher Pike will take command of the USS Discovery. The second run also looks to resolve issues fans had regarding this story's place in the timeline. Expect some more variety in the tone and style of episodes too. After Split surprised us all and morphed into a side-quel to Unbreakable, Glass looks to unite the main characters from those stories. Bruce Willis' David Dunn, Samuel L. Jackson's Elijah Price (Mr Glass) and James McAvoy's Kevin all appear in an institution for people who believe they have super-powers that's supervised by Sarah Paulson's Dr. Ellie Staple. Of course two of those three do have powers, while Mr Glass holds secrets important to both men as he seeks to manouevre them for his own gain. If M. Night Shyamalan can putt then all is forgiven (except for The Last Airbender, that's unforgivable). By the time this third and final film in the Train Your Dragon series comes out, it will have been nearly five years since the last one. The sequel saw Hiccup find his mother, but lose his father. Now he's the village chief, but his peaceful reign is tested when he and his dragon, Toothless, travel to an undiscovered land where they encounter a new threat. This series has managed to match Pixar's level of quality, so we have high hopes this trilogy can sign off in a blaze of dragon fire. The LEGO Movie looked like an advert for toys, but won many people over with its charm. It's, unbelievably, been almost five years since the first film came out pumping out a mantra of 'everything is awesome' and the LEGO characters are facing a new threat - the LEGO DUPLO® invaders from space who prefer to wreck things than build them. Can they capture lightning in a bottle for a second time? It's a hard ask, but you wouldn't bet against these small LEGO bricks. Based on the comics penned by Gerard Way (more famously known as the frontman for My Chemical Romance), The Umbrella Academy deals with unique, dysfunctional superheroes in its own stylistic way. Six superheroes - once adopted when they were children by billionaire Sir Reginald Hargreeves, but since disbanded - are reunited as adults to deal with a mysterious death and an impending apocalypse. But with such differing personalities and powers, will they even be able to work together? From Attack The Block director Joe Cornish comes this charming coming of age meets fantasy film about a bullied schoolboy who accidentally comes upon King Arthur’s sword Excalibur and finds himself forced to deal with magical and evil forces. Also stars the great Patrick Stewart (as older Merlin) and the superb Rebecca Ferguson (as Morgan le Fey). Marvel's next hugely-anticipated release takes us back to the mid-1990s, with Brie Larson playing Carol Danvers/Captain Marvel. It's the first time a Marvel film has had a female superhero taking the spotlight, and Larson already looks like she can take on most of the Avengers single-handedly. She is, after all, one of the most powerful individuals in Marvel Comics lore. With pre-S.H.I.E.L.D. Nick Fury and a rookie Agent Coulson popping up, not to mention the promise of a tie-in with Infinity War, this should be one of the highlights of 2019's film calendar. The weird and wonderful American Gods is back with a second series that looks just as dreamlike, epic and, well, weird as the first one. The highlight (especially for the book’s fans) is that we finally get to see The House on the Rocks - a real life labyrinthine museum and funhouse in Wisconsin - where Mr Wednesday rallies the old gods for one last fight. We’ll have I Got 5 On It by Luniz stuck in our head for ages, though. This follows in the wake of Disney's prior 'reimaginings' as the studio continues to mine its past for new interpretations. Dumbo is about a young elephant whose oversized ears help him to fly. This act saves the travelling circus, but the animals soon learn that not all is well. With Tim Burton directing, Dumbo is sure to have a bit of weirdness to it, and the cast is pretty outstanding. Another surefire hit for Disney? Winter is well and truly here. 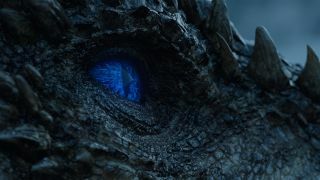 The eighth and final season of Game of Thrones is finally upon us this year, and it's anyone's guess what will happen. Lots of fire and ice and dragons and bloody battles, we're sure. But will Jon Snow (and everyone else in Westeros) finally find out his true lineage? Will Cersei be overthrown? Will Area finish her stabby list? How will the White Walkers be defeated? Who will finally sit on the throne and reign the kingdom? And will Davos survive? We'll miss you, Game of Thrones. A lack of fun has been a criticism oft levied at DC Comics. That's likely to change with the comedic tones of Shazam! Shazam! is the story of Billy Batson, a kid who's granted the powers of an adult superhero (and morphs into Zachary Levi) every time he says "Shazam". It's like Tom Hanks in Big, only if the character suddenly morphed into a massively muscled superhero. Silly as it sounds, Shazam! sounds like the injection of comedy DC needed. It's the one we've been waiting for. Along with eagerly anticipating the consequences of Thanos' fatal fingersnap that wiped out half the world's population, there's a terrifying feeling that we'll be seeing a mighty emotional climax in one of the greatest cinematic showdowns of our generation. Captain America and Tony Stark featuring prominently in the trailers will only fuel the suspicion that one - or more - of the original Avengers won't make it beyond this film (permanently this time). This might well be the end of an era, and can't wait to see how Marvel will exceed expectations once again. This is an odd one. It's the first live-action adaption of the Pokémon franchise (this adapts the 2016 game of the same name), and follows 21-year-old Tim trying to solve mystery behind his father's disappearance with the help of everyone's favourite electric Pokémon. But the real icing on the cake is that Ryan Reynolds - Deadpool himself - is voicing Pikachu. It's a wacky assault on the senses – it’s really, really disconcerting to hear Reynolds’ voice coming out of the adorable Pikachu and we're constantly waiting for baseless, profanity-riddled jokes to come forth – but it somehow works. Other Pokémon characters being “fleshed out” adds to the increasing weirdness, but this looks like a fun, easter-egg-filled film in its own right. The words “Guy Ritchie” and “Disney film” shouldn’t be possible in any sentence, but here we are. Beloved Disney film Aladdin is getting the live-action remake treatment, and oh boy do we hope this is good. The teaser trailer gave us a tantalising glimpse of vast, sandy dunes and the familiar cave of wonders, and the cast of Mena Massoud (Aladdin), Naomi Scott (Jasmine) and Marwan Kenzari (Jafar) look the part. With the Genie being voiced by Will Smith (just about the only person who could step into the former shoes of the late, great Robin Williams), we’re cautiously excited about this one. But what if that origin story took a darker turn. What if the young boy didn't end up quite so... heroic? This new film (produced by James Gunn) cleverly and effectively blends two on-trend genres together to create something entirely new: superhero horror. The titans have re-emerged! After Godzilla reared his lizard head in 2014, others followed in his wake. Cryptozoological agency Monarch is trying to stem the tide as Godzilla faces off against Mothra, Rodan and the three-headed King Ghidorah. Ken Watanabe and Sally Hawkins return, and they're joined by Vera Farmiga, Kyle Chandler and Stranger Things' Millie Bobby Brown. Where Godzilla underwhelmed, this could be the heavyweight fight we wanted the first go around. The upcoming X-Men film takes on a storyline we’ve seen before: Jean Grey being consumed with the all-powerful Dark Phoenix force, ending in betrayals, deaths and destruction for her fellow X-Men and friends. We like the look of the trailer’s more down-to-earth and character-focussed feel - it's a welcome change from the sprawling mess that was X-Men: Apocalypse. But we haven’t really seen much of the new Jean Grey (played by Game of Thrones’ Sophie Turner) so far, so here’s hoping Dark Phoenix can make the emotional impact it needs to as Sansa - sorry, Jean - unleashes her rage in the new film. It may follow the same beats of the first (and best) MiB film, but this fourth instalment has oodles of star power in two charismatic leads who look great in a suit: Thor: Ragnarok co-stars Tessa Thompson and Chris Hemsworth. Based in London, the two Agents (M and H, respectively) are tasked with rooting out a mole in the MiB organisation. We really hope this is as fun as it looks. Series three of Stranger Things is heading to the small screen on the 4th of July, and the short teaser trailer above doesn't really give anything away other than eight episode titles and that it will take place in 1985. Next on Disney's live-action remake list is this beloved classic. It boasts an impressive voice cast - Beyoncé, Donald Glover, Chiwetel Ejiofor, John Oliver, James Earl Jones (returning as Mufasa, naturally) - and we can't deny that the CGI looks mighty impressive. But the teaser trailer also looks very familiar, with some scenes practically shot-for-shot identical with the original 1994 film. We hope the final film has a surprise up its sleeves, because right now we're wondering - what's the point? With Legion, Logan and The Gifted entertaining audiences, the X-Men series expands further with The New Mutants. Described as a superhero horror film, The New Mutants features five young mutants coming to terms with their powers inside a secret facility. Can they escape and save themselves? With the filmmakers citing Stephen King and haunted-house movies as touchstones, The New Mutants may boast as many shocks as it does thrills. Based on the books by Eoin Colfer, this Kenneth Branagh adaptation brings to life the story of a 12-year-old criminal genius who kidnaps a fairy to help search for his missing father. Mixing real-word danger with the magical fairy realm, the books are full of fun misadventures that the movie will hopefully capture. An animated spy flick starring the voice talents of Will Smith and Tom "Spider-Man" Holland? Yes. The spy film taking an unexpected turn by having its lead - Lance Sterling, world's greatest spy and all-round super-suave cool guy thanks to being voiced by Will Smith - turn into a pigeon? Yes, a hundred times yes. Hilarious hijinks ensue as pigeon-spy Sterling and Walter Beckett (his mini-Q, voiced by Holland) navigate their way around nefarious plots, amorous pigeons and try to save the world. An angel and a demon work together to stop the Apocalypse from happening because they simply like living on Earth too much. Add in an assortment of righteous angels, sneering demons, a witch, a witchfinder, the four horsemen of the apocalypse, and four young kids and their dog - and you have a delightful, zany, eons-spanning story from the minds of Terry Pratchett and Neil Gaiman. Adapted from the cult-favourite 1990 novel Good Omens: The Nice and Accurate Prophecies of Agnes Nutter, Witch, the six-part series boasts David Tennant, Michael Sheen, Jon Hamm, Josie Lawrence, Nick Offerman and Frances McDormand amongst its starry cast. We can’t wait for this one. Sick of superheroes? Looks like the world of Amazon's The Boys are too, where the superhero industry is picture-perfect and wield absolute power. But all's not what it seems, and the CIA hires a group of superhero-hating human vigilantes to take the heroic (or are they?) supers down. Based on Garth Ennis's satirical comic series, this looks like a fun take on the Marvel/DC tropes and the many, many superhero-based shows and films that are all the rage now. Also, it has Karl Urban in it - how can we resist? One for all the parents and little ones (and/or fans of Aardman Animation). An adorable alien crash-lands near Mossy Bottom Farm and Shaun is elated with the alien-powered hijinks. But he also needs to help her avoid getting caught by the authorities and get her back to her home planet to stop Farmageddon.